New York Jets QB Mark Sanchez Visit Irvine! 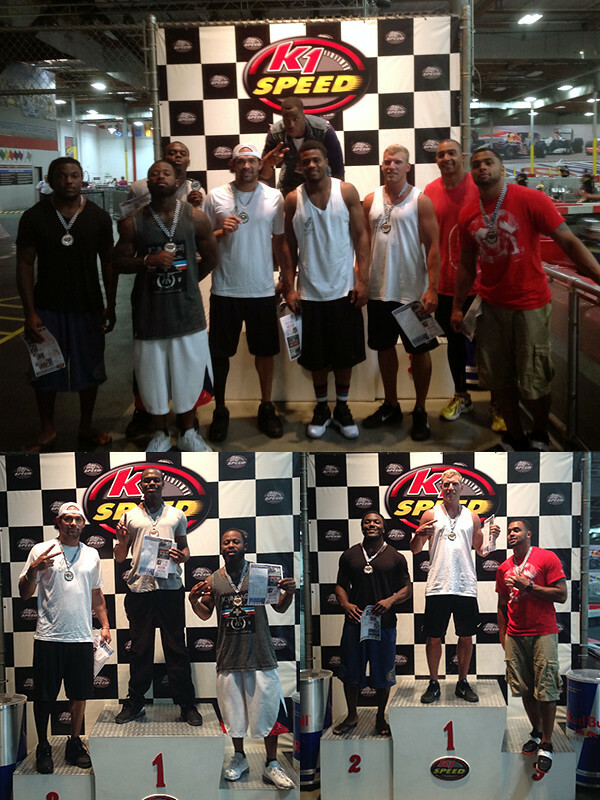 Mark Sanchez and teammates stopped by K1 Speed Irvine last night for some friendly competition. The players had a great time racing each other with Mark posting the results on his Twitter page. Sanchez has organized the informal workouts and team-bonding sessions, dubbed “Jets West,” for each of the last few summers at Mission Viejo High School, his alma mater. Jets West camp includes running back Chris Ivory, tight end Jeff Cumberland and wide receivers Stephen Hill, Jeremy Kerley, Clyde Gates, Jordan White, Ryan Spadola and Vidal Hazelton.